The first contribution of the Roy Hill project has failed to balance the impact of falling iron prices on the accounts of Gina Rinehart's Hancock Prospecting which recorded a one third drop in net profit from operations to $443 million. Swick Mining Services shares closed 14 per cent higher on the ASX today after the company announced it had been named the preferred proponent for underground drilling work for Newmarket Gold. Freedom and flexibility are in high demand for Western Australians when it comes to working from home, according to new research from telco giant Telstra. Perth-based copper explorer Finders Mines has tapped investors for $12 million to fund ongoing work at its Wetar project in Indonesia. Shares in Pilbara Minerals have surged on news the company has locked in a second offtake agreement for its Pilgangoora lithium project. Perth-based Cash Converters International has agreed to refund $10.8 million to customers and pay a $1.3 million fine after enforceable undertakings were accepted by the corporate watchdog. 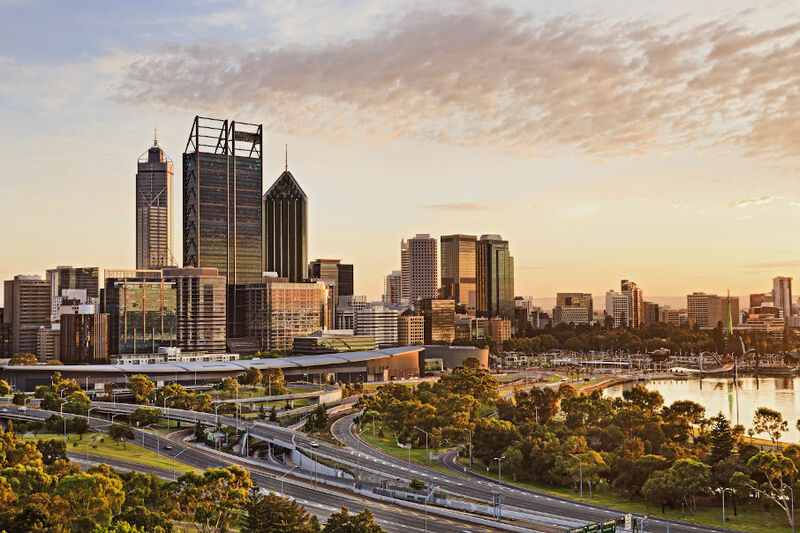 Perth-based Decmil Group has won a $22.1 million contract for road work in Victoria through a subsidiary it acquired earlier this year. Resolute Mining’s long-serving chairman Peter Huston has announced plans to retire as the gold miner seeks to refresh its board. Engineering and construction contractor Decmil Group has won a $17 million extension to its contract with QGC for work at the Queensland Curtis LNG project in Gladstone. Altura Mining has attracted a Chinese lithium battery producer for a $41.6 million investment in the business to assist with the development of its Pilgangoora lithium project in the Pilbara. Cockram Construction has been awarded a $23.5 million contract for the redevelopment of the Onslow Health Service. The first Sunday Times newspaper to be published under ownership of Seven West Media will be printed later this month, after purchase contracts were officially signed today. Mineral sands miner MZI Resources has announced the resignation of both its managing director and chief operating officer, while finalising a $US16 million loan deal. Graphite explorer Metals of Africa has announced a $9 million capital raising and rebranding plans, with the company to change its name to ‘Battery Minerals Limited’. Oil and gas explorer Xstate Resources has entered into an agreement to acquire a 24.5 per cent stake in a producing onshore oil field in California for $US13 million ($A17 million). Perth gold miner Saracen Mineral Holdings has locked in a financing facility of up to $150 million with a banking syndicate, replacing a previous loan deal that expired in September. Water Corporation chief executive Sue Murphy and technology entrepreneur Anthony Grist have been appointed to the board of the Fremantle Football Club. Belmont-based security company Threat Protect Australia has locked in a $10.5 million funding package with a Melbourne-based wealth management business, to continue its growth plans. MMJ Phytotech has accepted a competing bid for the spin-out of its medical cannabis-focused Canadian subsidiaries onto the TSX Venture Exchange, with the new deal worth $C42 million ($A41 million). Perth-based miner South32 has entered into an agreement to buy the Metropolitan Colliery and a 16.7 per cent stake in the Port Kembla coal terminal in NSW from Peabody Energy Corporation for $US200 million ($A261 million) in cash. The youngest son of the late John Roberts, who founded construction company Multiplex, has joined the board of Mineral Resources, filling the seat left vacant when long-serving director Joe Ricciardo retired in April. Emeco Holdings has sought to reassure investors that its planned three-way tie-up with Orionstone and Andy’s Earthmovers is progressing smoothly, despite news that one of the parties involved has received a takeover bid of its own. Altura Mining has followed the example of neighbouring lithium project developer, Pilbara Minerals, by purchasing a mothballed mine camp from Roy Hill Holdings. The state government has locked in a location for Western Australia’s first open-range zoo, which is expected to cost up to $100 million to develop. Hoyts Group has announced plans to open a new cinema complex in Karrinyup and redevelop its Garden City complex, as part of shopping centre redevelopments in those areas. Soon-to-be lithium miner Galaxy Resources has expanded an existing agreement with investment group OCP Asia to borrow a further $16 million to meet working capital costs until first revenue is achieved at its Mt Cattlin mine. Aspiring lithium miner Pilbara Minerals has agreed to purchase Roy Hill Holdings’ dormant 300-person camp facility for use at its Pilgangoora project for an undisclosed sum. Diversified investment and development company CFC Group has combined its mining services and infrastructure businesses to form a single subsidiary, in response to the tough mining environment. Perth-based explorer Bannerman Resources has tapped investors for $4 million to fund an engineering program to help reduce cost estimates at its $US793 million Etango uranium project in Africa. Lions Eye Institute founder Ian Constable has been recognised by the University of Western Australia which will name a new senior academic role after him. Fortescue Metals Group has announced major changes to its leadership, with a new chief executive taking the reins and its directors taking a hands-on role to support an updated strategy that focuses on producing more higher-grade iron ore. Downsizing in the resources sector is outstripping emerging demand from technology, medical and education businesses for CBD office space according to a new report by independent property research firm Y Research. The building commissioner has put out a public warning against a local building company, saying its financial status warrants questioning. The state government is planning to restrict new residential developments in the west end of Port Hedland while also implementing a new regulatory framework for air quality in the town, which is located adjacent to large iron ore stockpiles. Company director Robert (Bob) Kennedy, who was a director or chairman of four ASX-listed companies, has passed away after a short illness.